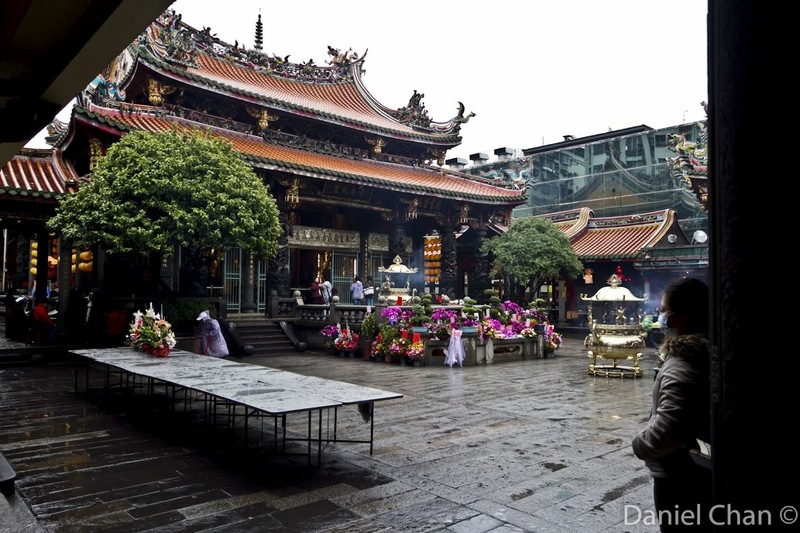 Take the metro to Longshan Temple Station and walk across the road to head into LungShan temple. Just cross the road and head into the temple. It was a rainy day in Taipei but that did not stop people from coming to pray. Lungshan temple was built in 1738 and dedicated to the Buddhist Goddess of Mercy (Kuan-in in Chinese, or Avalokitesvara in Sanskrit). Lungshan temple was rebuilt as it looks today in 1919. When you enter, you hear the constant chanting in a melodious tune. Many are kneeling in prayer. I could not help but notice so much detail in the artifacts of the temple. If you are a Taoist or Buddhist, you may end up spending more time here in prayer. I spent about 15 minutes here. On to the next location.